Not long ago, I was in Culver City looking for some Jamaican cuisine that would tantalize my taste buds. I found a colorful restaurant that had a steel drummer playing the island music as I refer to it. Istein, the steel drum player invited me to enjoy his music. While I was listening to the music, I met a very interesting gentlemen named Derrick Angus, who happened to be dining on the patio. 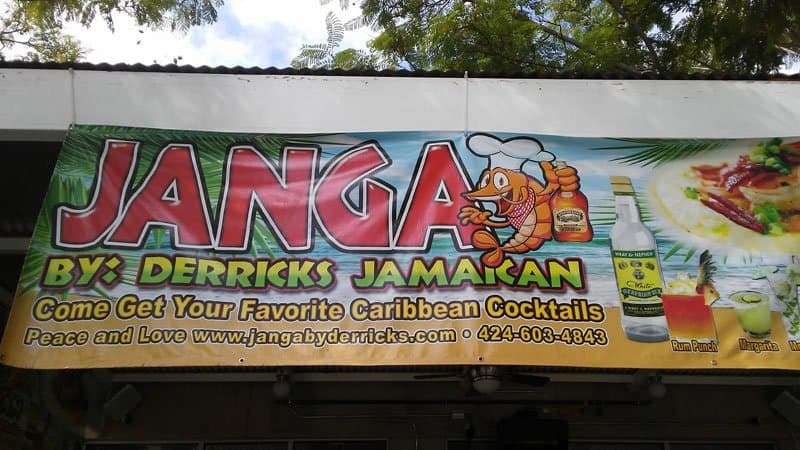 Derrick is the owner of Janga’s and the creator of some excellent sauces … Derrick’s sauces, the Jamaican jerk sauce, and the Spicy Tropical barbecue sauce received rave reviews, especially from companies such as NBC and the Culver Studios. 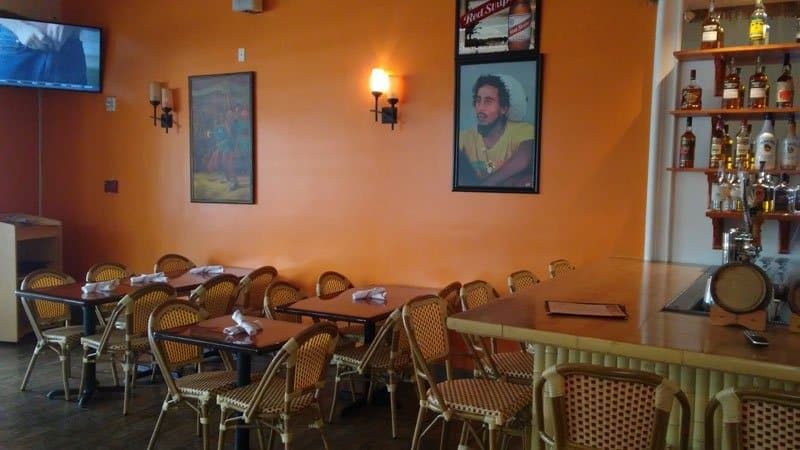 Perhaps it’s his friendly Jamaican ways and the fact that his sauces have been perfected over the years, that has set his restaurant apart from others. While speaking to Derrick, I met Executive Chef Alfonso Sanchez and Angela Vianello, two of his very passionate associates. At Angela’s suggestion, I ordered the Hibiscus drink, a plant from Jamaica, and Derrick’s Healing Kale herbs for starters. The main entree served was Achee and Salt fish, the National dish of Jamaica. Achee is a savory fruit with a light buttery taste, enhanced with spices which compliment the salt fish, combined with a blend of herbs and spices. If you like a spicy dish, you’ll love this. 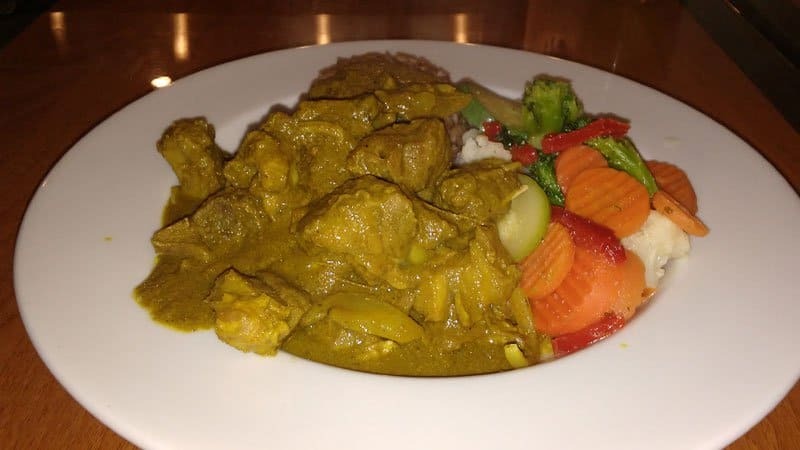 Another entree served was the Curry Goat plate with chunks of goat meat, which were slowly simmered in a Jamaican style curry blend. Goat Curry at Janga restaurant. By golly, this was terrific. It’s no wonder that Derrick’s recipes bring folks from all parts of Los Angeles. 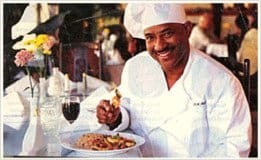 What is really interesting is that he has perfected his cuisine for many years, not to mention that he is a native of Jamaica. Another tasting which I enjoyed immensely, was the Jerk Tofu, flavored with jerk seasoning and cooked with fresh bell peppers and onions. After dining like a king, Jamaican style, there was Derricks homemade Plum cake for desert and Jamaican island tart. Wow, these were really outstanding. 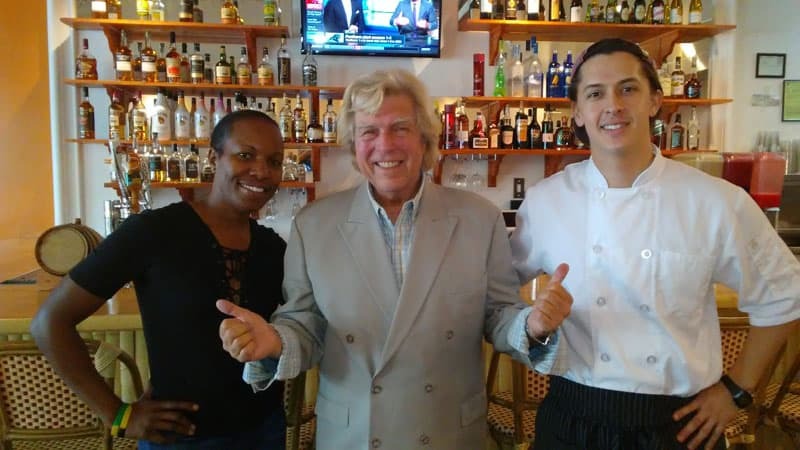 Celebrity Scene News awards four stars for Janga’s ambiance and its authentic recipes. Angie Palmer with Pete Allman and Jermaine Ansen.